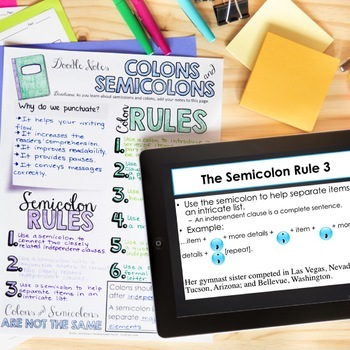 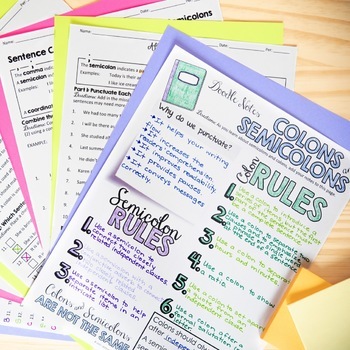 Teach your students about colons and semicolons with this punctuation unit that includes materials for instruction as well as student resources, assessments, and practice. 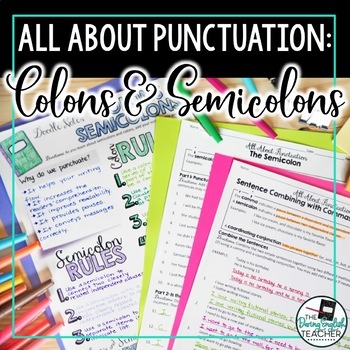 This resource will help your students learn about punctuation. 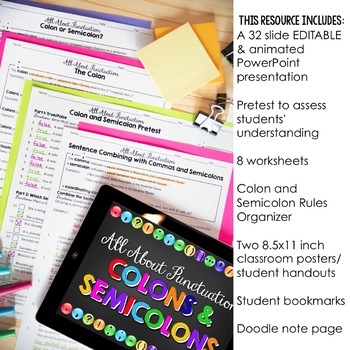 Looking for writing resources for the ENTIRE year?